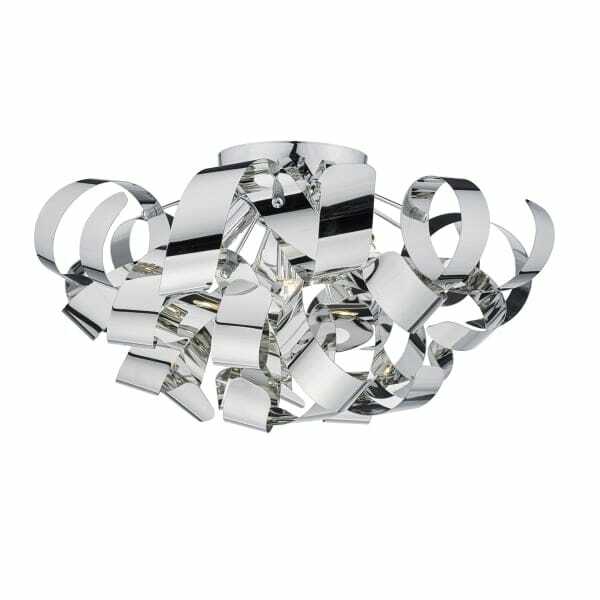 An unusual design flush fit ceiling light featuring twirling ribbons of polished chrome around a polished chrome frame. Suitable for use in any contemporary setting and ideal for those with low ceilings. Great for bedrooms and living rooms.